After a big set back with Windows 8 Microsoft is looking to deliver a great OS to it’s users. Microsoft intentions were right with Windows 8 OS but it didn’t come off good. Microsoft guys are working very hard to release next version of Windows (Which is most likely to be called as windows 10). I’m also thinking that the next version will be named as windows 10. Update: Windows 10 beta version is released on October 1st. Coming to windows 10 (which is currently in beta version), some rumors are roaming around the town. So after searching for lot of hours on internet about windows 10 rumors, I found some interesting facts and upcoming changes in windows 10. I picked out some news, useful and expected new features list from all over the internet. Checkout the upcoming major changes in windows 10 OS. As we all know, in Windows 8, Microsoft mostly concerned on touch screens and tablets. This made lot of normal PC users go crazy. So finally Microsoft decided to differentiate between touch PCs and normal desktops, that means the user interface will be different for touch versions and normal PCs. One thing every Windows user likes about Windows 7 is it’s good looking and easy to use menu at left bottom. As we know, in Windows 8 or Windows 8.1 we don’t have that old menu. Instead we have a different UI in menu. So after hearing to many of its users feedback, Microsoft is ready to revert it back to old Windows 7 with some improvements. 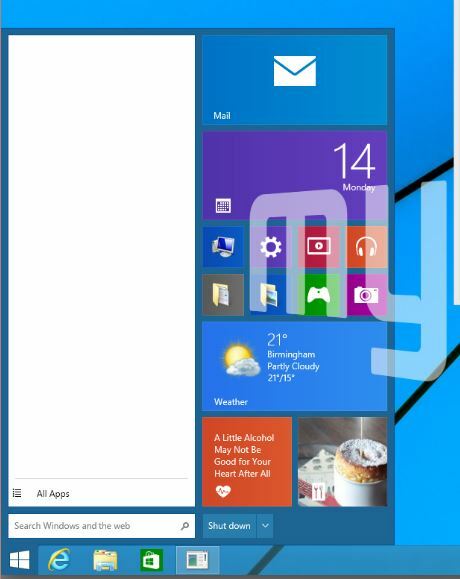 In the next version of Windows, Microsoft including a new notification center like in Android and Windows mobiles. You can see all your app notifications in one place. As per the leaked news, this notification center gonna be at right bottom corner. 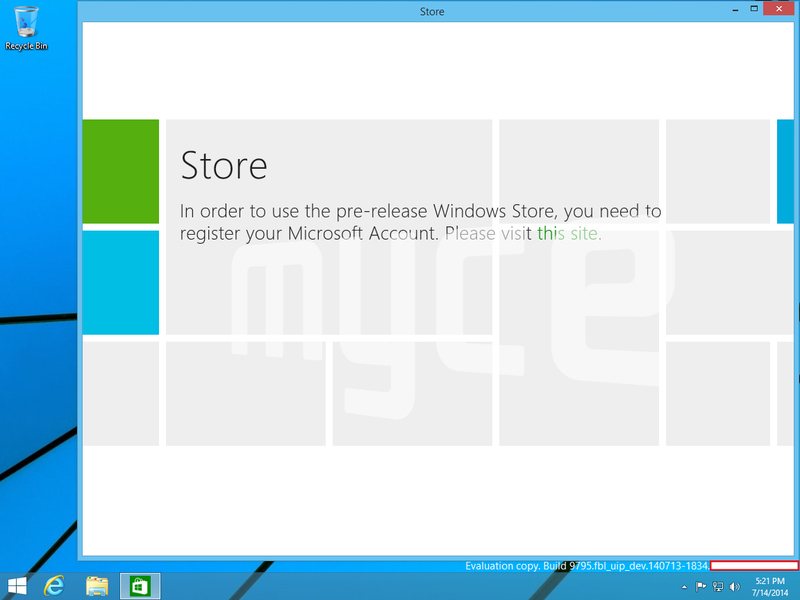 Everyone knows that Windows store for PC is a big flop. The idea was good but the implementation was very poor. After releasing the Windows 8 in to the market they realized this fact very lately. Somehow they’ve changed UI of Metro Apps in Windows 8.1 update 2. After this update we can minimize the Metro apps to taskbar but we don’t have control with the size of the Metro Apps. In windows 10 we can use metro apps like desktop apps. We can control the window size of Metro Apps like any other normal Windows applications. In any kind of field it is very important to keep an eye on “what our competitors are doing?”. It looks like Microsoft forgot this principle. Finally, with the entry of new CEO Nadella Satya they realized that what users are loving in their competitor operating systems. Coming to the point, it is really very good news for us (Windows users). In windows 10 they are including the virtual desktop feature which is really amazing. Apple and Linux have this feature from years back. Many tech geeks and lot of Windows users are eagerly waiting for windows 10 because everyone is irritated with the Windows 8.1 and Windows 8. Today (09-16-2014), Microsoft sent out invitations messages for it’s windows 10 beta release on September 30th. Microsoft may release the final version of windows 10 in second or third quarter of 2015. That’s all we have for now. keep visiting us for new updates and lot more tips. Let me know what you are expecting from windows 10 (Comment below). We would love your participation to improve the web.